Carlyle couldn’t help gaping at the jade dragon. The beast’s neck curved along the vaulted ceiling then sloped downward twenty feet to a carriage-sized head. A burning haystack balanced on its tongue and the dragon sucked air through the flames, showering its throat with sparks. Pages climbed over its back, polishing the scales with soapstone. They were in a tunnel under the massive stadium. Chants from the audience packing the bleachers overhead vibrated through the limestone and thrummed against Carlyle’s heart. But still he could hear the dragon scales rubbing against each other as it swiveled its head, like a whetstone against a blade. “You’re hurting me.” Carlyle didn’t care if the judges saw him staring. He welcomed it, in fact. Anything to get out of this tourney. “Heroes don’t stare.” The oiling finished, she teased out his curls with an ebony comb, digging the tines into his scalp harder than she needed to. “Because if you don’t win, I’m obligated to care for you until you’re sixteen. A horse I would simply butcher.” She flicked his ear with the comb. A man identifiable as a judge by the purple feather in his flat cap approached and unrolled a scroll. His thick, gray beard was trimmed very neatly. “Carlyle Vanderweld aged thirteen.” He squinted down. “Strong nose, high cheekbones. Magnificent golden locks–congratulations madam. But I detect one obvious flaw.” Carlyle held his breath. Was this the miracle he’d been hoping for? “You look unhappy. A pout is ugliness. Ugliness is next to peasantness.” He flipped his gold embossed cape across one shoulder. “Praise the mirror,” Carlyle answered. Even in a sour mood, he daren’t refuse to give the King’s Riposte. The dragon’s head slid above Gustav. Carlyle leaned back, eyes wide. Sparks from the haystack fell towards the judge’s head. “Yes.” Carlyle pointed a shaking index towards the dragon, but Gustav didn’t seem to notice. “Good. If you make it to the final round, know that the dragon will not attack you directly, but it will attempt to bomb you with buckets of muck.” At that, the dragon winked. “If you get a full hit, you are disqualified. A splatter lowers your score. And remember, there can be only one apprentice. Carlyle knew all of that. His parents had forced him to compete in the hero games at the village level, then at the county level. He had played along–pretending was a lot easier than antagonizing his parents. What else could he do at thirteen? He had never thought he would make it to the capital. He had never seen any traps, however. The only traps in the village games were overripe fruit thrown from the grandstands. The dragon thrust its forearm out faster than Carlyle could flinch. The middle claw pierced his doublet and tickled his diaphragm. The nail alone was bigger than his head. The sooty, haystack breath rippled Carlyle’s cheeks. Of course it was a trick. He knew all about dragons. He couldn’t wish for gold or a loving family–those kinds of wishes never worked out. It would be fools gold or a family of skunks. And if he said what he really wanted, why, he’d never have that at all. No, he would have to be cleverer than that. To get what he wanted, to become a potter and work mud into practical vessels, he would have to lose this tourney. He had to lose every hero tourney his parents forced him to enter. He had never heard of wishing for what you didn’t want. “I wish to never be a hero,” he said. That would certainly fool this dragon. “I wish to never be a hero.” One of the pages climbed over the dragon’s head and began shouting but Carlyle couldn’t hear what he said. His ears were stuffed with rags. People ran on silent feet. The dragon’s yellow irises whirled with purple clouds. A thunderclap exploded from inside his head and the running people stumbled. The banners flapped as from an enormous gust of wind. Carlyle fell to one knee. “Stop!” A voice echoed through the vaulted chamber. An old sorcerer in a blue gown hobbled forward, aided by a teenage girl. A silver ring blazed on the man’s finger. The girl stared at Carlyle with round eyes. 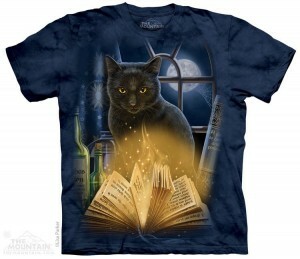 The sorcerer reached inside his robe and removed a small pouch filled with silver dust. He sprinkled the dust in the air, but instead of falling to the floor, it hovered like a cloud. The sorcerer leaned heavily on the girl. “I told the King that the dragon was too dangerous to keep alive, but he insists on having the games. The games, the games, the games.” The ring’s silver fire winked out, and the powder fell to the floor. “I could not remove a dragon’s curse anyway. I am too weak. In the arena the drums rolled. The crowd began stomping its feet and dust fell from the limestone blocks. The dragon popped another haystack into its mouth and lit it with a belch. “Granted,” it said, and blew smoke from its nostrils. Carlyle felt as if an enormous weight had been lifted off his shoulders. He would lose no matter how hard he tried. His smile came naturally now. He genuflected with gusto, turning his calf at the precise angle and subtly stretching his hose with a hidden hand. He scored fifth in struttingand second in preening. The boy pointed to himself with a questioning look. “Don’t make any deals on my account, muck-boots. I can out-glamour you any day. I am Victor of County Bandylane, champion’s apprentice. My father’s banner flies above the door.” He pointed to a hippogriff on a white background. “I am more beautiful than anyone here,” Victor said. “I am stronger, faster, and I want it more.” With each affirmation he tapped himself on the chest. “I’m going to get it.” He strutted to take his place for the practiced distain. “Well, I don’t want it,” Carlyle replied, sullenly. What a peacock. He wondered if he could spoil Victor’s chances and still lose. To his amazement, Carlyle tied Victor in practiced distain and passed easily into the final, all-or-nothing round. The wooden doors creaked open one last time. Carlyle felt his heart surge. The fear, the anxiousness, and yes, the excitement of the tourney had been building in him throughout the afternoon. He still wanted to lose. Gods, who would want to spend the rest of his life preening. But he would sure like to beat out Victor. Carlyle peered around the black wings of the dragon. The arena, whitewashed and gleaming, curved away from them to either side and rose, stair by stair, tier by tier, to the crown: limestone arches like doorways to the heavens. The tiers seemed alive with waving arms, colorful headdresses, and guttural shouts. The catwalk had been removed and now wooden barriers dotted the dirt floor, slanted soldiers on attention. Foreboding these were, wide enough to hide any manner of menace, and they seemed to lean forward eagerly. The audience could probably see what waited behind, but the contender could only find out by going around or over. Wooden swords and shields would be behind some, and men waiting to throw muck behind others. The sunlight glinted off puddles to jump or skirt. Odd wooden stakes topped by some kind of bird’s nest dissected the obvious corridors. He hadn’t a clue what they might be. The drums rolled. The dragon sprang into the air. He swooped down and scooped up an enormous bucket—the muck bucket–then flapped his ribbed wings until he became a speck against the sun. The crowd roared. Victor just laughed. Of course Victor was lying, or was he? Carlyle hung back. One boy sprinted and vaulted a stake. The nest blossomed into a spider. It leapt on his back and wrapped its legs around him. The gods! It’s killing him! The contender fell. The spider squirted sticky webs over him and trussed him up. Then . . . it vanished. Not a real spider then–some kind of magical trap. The boy squirmed inside his cocoon. A great variety of fruit pelted him from the audience. The other boys moved more cautiously. Victor pulled a spider shaft from the earth, flipped it, and stuck it back. The spider didn’t materialize. Splat! A pear splattered across Carlyle’s shoulder. Watch more closely, he thought. Watch everywhere. The audience began taunting them and pelting them with fruit and eggs. Like it or not, he would have to keep moving or he would be bruised for days. And then there was the matter of Victor. I could lose from this one splat, he thought. Perfect. Cross the Hero’s Rule a little messier than the others. Make sure Victor fails. He scooped up a rotten pear himself, in case he should get a chance to pelt Victor from behind. He heard a waterfall behind him and rolled to the side, barely dodging a wave of dragon muck. The dragon blasted fire as it passed, putting on a show for the audience. He focused on running, dodging, and flipping the spider stakes without tripping them. He almost got taken when a contender knocked a stake over and used him as a decoy. He feinted, and the spider found its true target. Someone screamed as the dragon drenched him with muck. The screams became a temper tantrum. Carlyle laughed until an egg burst against his knees. He rounded another barrier and easily dodged the muck the hidden man threw, grabbing the sword the man had been guarding on his way past. Now he could see the Hero’s Rule, a charcoal line bisecting the end. Only one more wooden barrier to go. Where was Victor? 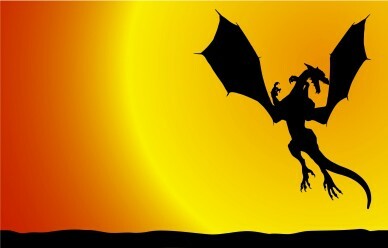 The dragon landed behind the rule, brandishing the muck bucket with its forelegs and blasting fire into the air. The drums banged out a binary rhythm. One barrier. Either he would find a shield or a muck thrower. No matter, he aimed to lose. He rounded it. Victor was lying in wait. He swung his wooden sword and smashed Carlyle’s ear. The arena went red. He felt himself cry out. The ground came closer, but stopped a distance away. He was on his knees. How had he gotten here? Victor, oh yes. Victor swung again. The wooden sword whacked him on top of the head. The ground plunged into his mouth. Pain flared from his skull to the small of his back. The dirt ground between Carlyle’s teeth. He tried to spit it out but more dirt squirmed under his tongue. He coughed and dirt flew out of his nose. An apple hit his outstretched leg. He planted the tip of his sword in the ground and levered himself up. A red halo surrounded everything. The crowd stood and applauded. Victor crouched near the far side of the arena, but the dragon kept him back with the muck bucket. No other competitors had made it. The dragon spouted a thin jet of flame then threw the muck. Victor ducked. Carlyle snarled with red vengeance. Let them judge my face now. He staggered forward, dimly aware of the coal-black line passing beneath his feet. Victor crossed the rule and struck a pose: false humility. His clothes hadn’t even a splotch. Carlyle roared. He spun with his arms outstretched and threw his sword with all his might. It flew far above Victor’s head. Carlyle watched with amazement as it spun higher and higher, then got caught in a mighty inhale and flipped into the dragon’s left nostril. Carlyle felt his heart drop to his knees. “It’s gonna sneeze.” He waved frantically to Victor. “Get down, drop to the ground!” The beast’s chest expanded, its yellow eyes blurred with tears and its neck unfurled to full height. Victor stared with gaping mouth, paralyzed. His hand lost its grip on the wooden sword, which stuck for a second point-first on the ground, then began to fall. Carlyle lurched forward, determined to tackle the other boy out of harm’s way. The dragon’s chest expanded like a dirigible. Its eyes pinched shut. The sneeze was coming and with it, the flames. Carlyle tried to run faster, but his legs wouldn’t obey. Still four paces short, the dragon blew. “Dive,” Carlyle called one last time, and threw himself face down. The sneeze echoed against the limestone blocks of the arena, and heat fluttered Carlyle’s golden locks. He dared not peek, but he had to. Victor stood dumbfounded. The dragon grinned stupidly. Carlyle was too surprised to reply. “I’ve got to see the dragon.” Carlyle wobbled off, eager to be away from Gustav and Victor both. His mother appeared out of nowhere and gave him a hug. “Send coin,” she said. Then she shrieked and scuttled away as the dragon’s head thrust between them. The great scaled shoulders shrugged, but as ever, cunning seethed behind the sulfurous eyes. Victor’s family disowned him. Carlyle saw him a score of times over the years, but always he scurried away on his uncomely errands: wheeling a wheelbarrow of muck from the dragon’s cell, emptying a chamber pot, or following a horse-drawn carriage with a shovel. His shame condemned him to a life behind the façade. Carlyle lived in the apprentice quarters behind the spa, surrounded by opulence. Hand woven rugs showing glorious war lined the corridors. Furniture made from exotic woods littered the rooms. Everywhere was brocade and gilt and lace. He ate meat at every meal. The architecture was modern, which meant windows and light and most of all, mirrors. Gustav taught Carlyle about being a hero: how to tease the curls from his hair, how to blush his face, how to say one thing with his mouth and another with his expression. Fighting is for soldiers, Gustav taught. The hero’s job is to inspire flutters in a maiden’s heart. Carlyle did everything he could to lose his apprenticeship. He sneezed in the presence of the queen; she laughed and called him cheeky. He turned his ankle out when he genuflected; within the week the entire court had developed bandy knees. He mocked the heroes’ manners, he shunned their customs and botched his makeup, but everything Carlyle did was emulated by the court. Why does the wish take so long? In fact, it seemed to be working against him. He replayed the dragon’s warning in his mind until his dreams showed him reversal after reversal. In one dream he became the king himself and woke drenched in sweat. Three years on he finally tried the most drastic ploy he could conceive: he burned his codpiece. He trembled for the consequences of this most un-hero-like affront. If a nobleman saw him, his apprenticeship would be finished. If a maiden chose to take offence, so might his life. Taking his courage with a deep breath, he strutted down the Hall of Comely Cravens and, with the most unfortunate luck, crossed paths with the queen and her retinue. She halted, and like ducks following their mother, her maids halted behind her. One of them swooned on seeing Carlyle’s blasphemy. Carlyle’s guts turned to water. The queen resembled a hungry bulldog. She poked her royal scepter against Carlyle’s strong cheekbones, then his chest, and then tapped between his legs. Carlyle suppressed a grunt. That night a mighty, codpiece bonfire burned in the courtyard, inspiring much revelry. Gustav told Carlyle he would become a hero without peer. Carlyle closed his shutters against the sounds of merry-making. He filled a bucket with red clay and water, and kneaded it. He squished his fingers into the mud, hoping to find release. He shaped a pot, but had no place to fire it, so he crushed it back into the bucket and kneaded it again, and again. He could deny it no longer–the wish worked against him. He must deal with the dragon. A ball was planned. Peasants prepared the arena for the next Hero Apprentice Game and for the anointing of Sire Carlyle Smooth Britches, Hero. Carlyle returned to the antechamber where he had awaited the games. The barriers were piled against one wall. The wooden swords, shields, and buckets for the muck-men lay there in a heap. The spider-shafts were arranged in barrels, nest-downwards. Carlyle felt like setting the whole lot on fire, but that would not change his fate. “Yes. I have watched.” The beast seemed amused. Carlyle opened his mouth to ask what the dragon planned to do in that minute, and then he snapped it shut. Not much, he hoped, not so very much. The ball occurred in the hall of glass. The heroes looked resplendent in their many-hued garbs, multiplied by the hundreds in the floor-to-ceiling mirrors. Candelabras illuminated the hall with a perfect, yellow glow and, so far as Carlyle could tell, only he noticed the soot they left on the walls. The Sorceress Teresa stood alone. She wore a simple, floor length gown of white satin, the wrong color for her blond hair. He recalled Gustav’s coaching and spilled some wine on his doublet. “You thought wrong. Like everyone else, I came to preen.” A smile touched her lips. “I am not subtle either.” He put his arm around her waist. Gustav’s rule again: Women don’t get angry if you move with confidence. She tilted her head up. Her breath was rich and her lips were soft. The night, the drink, and the celebration probably weakened the sorceress’ virtue. And, he thought, the wish may have helped as well. For if the dragon spoke true and the wish was reversed, it wanted him to be a hero, and all heroes must be great scoundrels in bed. They made love. She tasted of cloves. She fell asleep with her ring hand over her head and the other across her belly. Her room overlooked the stables. He could hear horses sniggering and the clomp, clomp of their hooves. Beyond that lay the short trek to the arena. A bed with burgundy covers took up a third of the square room. Mismatching pillows lay everywhere. Small vials, quills, and letters covered the bedsteads and dresser. Curtains shadowed the darker corners. Teresa cooed in her sleep. For the first time, Carlyle doubted himself. He laid his hand gently on Teresa’s shoulder. So many young men would do anything to swap places: an easy life at court, a beautiful girl willing to share her bed, meat at dinner, and nothing to do but preen. To lose all that, he must betray Teresa. He closed his eyes. The village he grew up in had no need for heroes–it needed farmers, weavers, and yes, potters. His parents, minor lords, had never known want. But they never produced anything, either. The peasants and servants produced. Carlyle, an only child, had taken his friends from them. They respected his skill with clay, but would only scoff at rose-scented armpit powder. A minute, he thought. What can the dragon do in a minute? He threw off the covers. Teresa’s face was so innocent. How could this girl control a dragon? Here was proof that appearances were meaningless. He tugged on the ring, but it didn’t want to come off. Teresa mouthed something and tried to roll over, but Carlyle pressed himself against her. He kissed her forehead and waited for her breathing to even out. He pinched the skin of her finger and pulled the ring again. It eased over the knuckle and slipped free. He rolled out of bed and stood. Something grabbed his balls and hurled him across the room. He banged against the stone wall and fell to his side. It felt like his testicles had been pulled out of his throat. He didn’t recognize his own voice, barely knew he had been screaming. He curled into a ball and thrust his fists between his legs. Tears blurred his vision. “Chamber,” he managed to croak. The force which had attacked him floated above the floor–now he could see it, an oily haze much like smoke. Had a minute gone by? How was he going to put the ring back with the sorceress awake? He tried to straighten and couldn’t. His knees were glued together, and fire radiated from his loins in bands which tied off over his neck. Orange light flared through the window, illuminating the room as if from the midday sun. He felt a burst of heat and heard frightened voices and whinnies. Teresa caught her breath, turned, and ran to the window. She brought her left hand to her face and saw the lighter skin where the ring band lay. The presence locked him in place; even his eyelids were stuck open. He opened his mouth to protest and it flowed into his throat like living molasses. His stomach clenched and nothing came up; pain spread through his lungs as though they were being ripped with rose thorns. Something smashed through the door. “What?” Teresa’s startled question. Boot steps, a whump, and the presence wiggled free of him. Carlyle managed to gasp. Teresa was holding her gut with both hands, while above her Victor swung a flail in a graceful arc. It smashed Teresa’s head to the floor. The presence sloshed over Carlyle’s buttocks like liquid butter. “The dragon wishes you well,” Victor said, hefting the flail again. He placed his boot on Carlyle’s neck. “I seem to remember a similar situation three years ago. I can’t decide if you will suffer more from my flail or on the rack tomorrow.” Orange flames burgeoned outside. “My guess is tomorrow.” The flail swung and smashed Carlyle’s knee. This time Carlyle’s scream was deafening. He felt Victor pry the ring from his hand. The shouting outside intensified. He did not know how much time had passed before he could see through his tears. They’ll blame me. They will accuse me of freeing the dragon. And they’ll be right. Teresa lay in an expanding pool of blood, but he couldn’t mourn her, not now. He had to escape. Any movement flared pain up and down his leg. He managed, barely, to scoot to where the stone pot had rolled under the bed. He thrust his thumb through the wax and found a pungent, mustardy paste beneath. First he smeared some onto the back of Teresa’s head, though he held little hope, and then he rubbed the remainder over and behind his knee. He had to bite his lip to keep from crying out. Minutes passed, the pain became a throb. He forced himself to gather his clothes and stuff his legs inside his trousers. That hurt worse than anything. Then he heard the clink-clink of soldiers coming. He abandoned his doublet and slid a chair to the window. Then he started. It looked almost as if Teresa had stirred. But the soldiers approached, and the last thing he wanted was Teresa to finger him as a thief. He hoisted himself to the ledge, said a prayer, and rolled backwards. He crashed through a hedge and lost his wind. He lay moaning; sure the soldiers would find him. The night was punctuated by the whoosh of fire, the clang of metal on stone, and the shouts of frightened men. It was surreal, as if Carlyle did not belong in the same world as the sounds. Finally he managed to crawl to his feet. Teresa’s ointment worked miracles–already his knee was frozen in place. A pathway circled to the stables, and he limped there without encountering a soul. He had only one thought: to get on a horse and ride until he could ride no farther, to flee beyond the counties of this wretched kingdom. It wouldn’t be long before the soldiers traced the doublet—and the dragon’s escape–to him. He mounted the stolen horse, a good, strong appaloosa that someone had left saddled. Great billows of flame rose from the castle as if the stone were afire. Then he chanced to look towards the arena. A lone figure stood there, watching the fight. He knew who it had to be–the person who had turned his chance at freedom into a nightmare. Victor. He weighed the alternatives: freedom or revenge. But along with the revenge he might actually put things right. He might actually get the ring back before the dragon destroyed the kingdom. What would he do with it? Well, first things first. He nosed the horse towards the arena instead of taking the King’s Highway to freedom. He rode into the subterranean corridors where, inexplicably, the appaloosa stumbled. The saddle slipped and he pitched off, cracking his shoulder on the paving stones. He had to brace his back against the wall to leverage himself to his feet. Both his leg and shoulder screamed. I will stop this madness. He limped ahead, trying not to swing his left arm. In the antechamber he found a wooden sword and shield. The sword felt good against his palm, but when he gripped the shield the handle came off. The wish is fighting me. Finally he understood: the wish didn’t care about tourneys, it wanted to keep him from confronting Victor and becoming a true hero. The dragon hadn’t lied after all–not really. All the preening in the world would not make him a real hero. But this might. The realization gave him courage. He shoved two spider sticks in his boots, took another shield, and emerged into the stands. He climbed slowly, resting every few steps. He would not have made it but for the dying cries of soldiers to urge him on. From the top of the stadium, he could see that the battle went poorly. The dragon strafed the castle with great sheets of flame. Most of the windows had shattered and the fire blew through the rooms as easily as water through a canyon. As he watched, the last organized phalanx of soldiers broke and ran. He took a practice swing with his sword. It crumbled as though thoroughly gnawed by termites. Wind buffeted Carlyle’s hair. A shadow fell, and the dragon’s great, rear claws gripped the parapet. “Allow me,” the dragon said. With a casual extension of its neck, it tipped its head and bit Victor in half, swallowing his upper body with a great scraping of scales. Its lips pursed, as if it has bitten a lemon..
“I have grown soft. Raw food doesn’t have the appeal it used to.” Its enormous tongue slithered forward and scooped up Victor’s legs and torso. A spout of flame cooked them to a tender medium rare. It rolled the body on its tongue, eyed it thoughtfully, and broiled the other side. Trumpets sounded from the castle. A brilliant panoply of gold and taffeta issued forth–the heroes! The king must be desperate indeed to have forced them into combat. Carlyle dropped his sword handle and grabbed a spider shaft from his boot. Carlyle threw. The spider shaft bounced against the dragon’s forehead. A spider slipped out and immediately began webbing the dragon’s eye. The dragon started and Carlyle threw the second shaft. This one flew into the dragon’s nostril. Almost immediately a smoky web filled the hole. The spider skittered outside and began webbing the other side. The first spider attacked the ear. The dragon’s jeweled eyes widened in surprise and it inhaled, inhaled. Carlyle dove and covered his head as the dragon sneezed. Smoke burst from the dragon’s ears. This time, fire blew from its mouth and burned the hair off of Carlyle’s head. The heat had him cringing in terror, sure that he would be roasted alive. But it didn’t happen. When he looked up, the parapet was empty. Gingerly he patted his head–the skin was intact. Tender as though Gustav had whipped it raw, but intact. He struggled to his feet and peered over the arena’s edge. The dragon had fallen to the ground outside. It flailed against the cobbled yard like an enormous, wounded bird, the spiders having woven around one wing entirely, as soldiers in twos and threes began to run towards it. Some carried halberds, others brandished swords. The heroes formed up into a smart hexagon and began cheering. The battle raged fiercely, but with eyes and wing webbed the dragon was doomed. When finally it stopped quivering, the heroes rushed in to hack off its head. A girl stepped out from behind the judge. Her face was swollen like a pumpkin, but he recognized her. “Teresa?” Blood matted her blond hair to her head and neck. “Yes, Carlyle. I survived.” Her shoulders hunched forward and her head, suddenly snake-like, sank atop them. An oily presence slid under his clothes. A graduate of the Odyssey Fantasy Writing Workshop, Scott T.Barnes’ short fiction has been honored with a second place win and an honorable mention in the Writers of the Future Contest, with “Insect Sculptor” forthcoming in the Writers of the Future, Volume 28 anthology. He edits the online magazine NewMyths.com and recently completed the fourth-grade illustrated reader Rancho San Felipe with award winning illustrator Sarah Duque, to be published by Wieghorst Heritage Center in September 2012. Scott grew up on a farm/cattle ranch in California and has worked in marketing, sales, teaching English as a foreign language in France, and commercial real estate. He holds an MBA from the Claremont Graduate School and a BA in Journalism/Spanish from CSU Fresno. He also attended La Universidad Iberoamericana in Mexico and La Sorbonne University in France. Currently, he is Director of the American Christian Fiction Writers-West and a stay-at-home dad to his two children, Elizabeth, 3 and Kaylynn, 1. 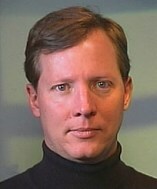 Visit Scott T. Barnes at his Google Site.